This Buick is helping prepare a Flying Doctor’s aircraft for one of its early missions. The aircraft, made of wood and cloth is a de Havilland Fox Moth. Its top speed was around 100 km/hour. Today’s Flying Doctor King Air aircraft are very different to the old Fox Moths. The interior of a modern Flying Doctor aircraft is like a flying intensive care unit. With 45 aircraft on 24 hour stand-by at 23 Flying Doctors Bases across Australia, medical help for people who live, work or travel in the Outback is only 90 minutes away. To make a donation to the Service, freecall 1800 444 788. 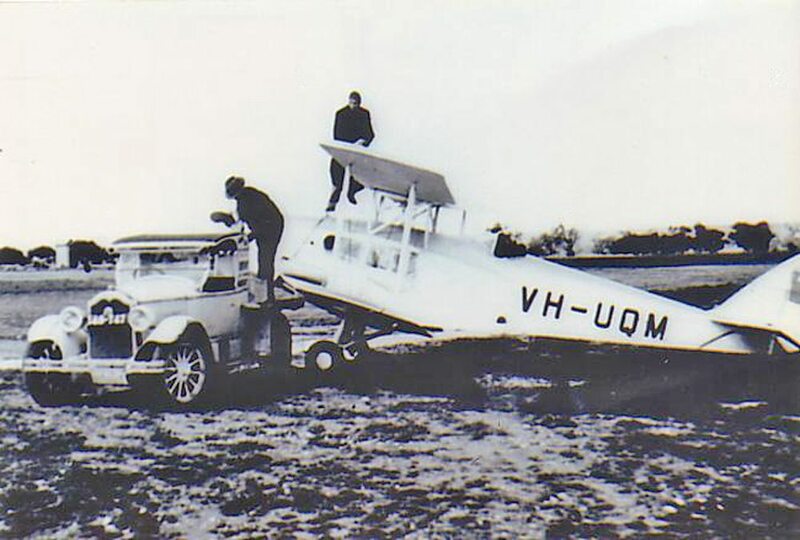 Webmasters note: The date and place of the picture is unkown but possibly Broken Hill. 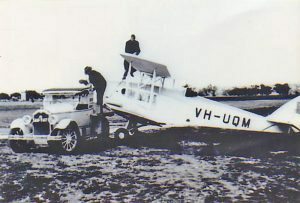 The Fox Moths were in RFDS service in the 1930’s and the Buick is old enough to have been converted into a service truck.